A 20-year-old Somali man is being held on federal charges in Minneapolis for trying to join the Islamic State. The Minneapolis Star Tribune reported that Abdirizak Mohamed Warsame was arrested Wednesday and charged with conspiring to provide material support to the terrorist group. According to the criminal complaint, Warsame was one of 10 Somali men from the Minneapolis-Saint Paul area who began plotting in April of last year to join the Islamic State in Syria. Three of his fellow co-conspirators have since pleaded guilty to terror-related charges, five will begin trial in May, and one is currently residing in Syria. Warsame was arrested eight months after the other plotters. The complaint also said that Warsame was the leader of the group and encouraged the others to expedite their plans to travel to Syria. The group of men allegedly watched propaganda videos with one another at a local mosque. Warsame will be held in custody at the Anoka County jail pending a pre-trial detention hearing that will take place next Tuesday. Minnesota has become a hot recruitment spot for terrorists. A congressional report released in late September indicated that Minnesota had produced more would-be Islamic State fighters than any other state. News of the arrest comes amid heightened national security concerns in the wake of the terror attacks in Paris and San Bernardino, California. 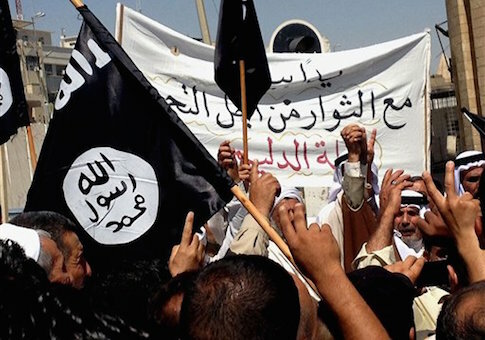 The attackers who opened fire on a holiday party for the San Bernardino County public health department last week were reportedly inspired by the Islamic State. This entry was posted in National Security and tagged Terrorism. Bookmark the permalink. Morgan Chalfant is a staff writer at the Washington Free Beacon. Prior to joining the Free Beacon, Morgan worked as a staff writer at Red Alert Politics. She also served as the year-long Collegiate Network fellow on the editorial page at USA TODAY from 2013-14. Morgan graduated from Boston College in 2013 with a B.A. in English and Mathematics. Her Twitter handle is @mchalfant16.